A Sennheiser HD 800 Reference Dynamic Headphone is a great and a sterling pair of headphones that gives a perfect balance between enjoyment and accuracy. 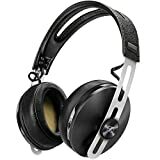 It has all the features and details that you would like to have in an audiophile headphone. It provides an accessible and enjoyable sound that is acceptable universally. When you make the decision to buy it you can rest be assured that it will live up to your expectations and so you get the value of the money you spend. This dynamic headphone is highly considered as the most transparent headphones that you can get in the modern market. This means that it does not have any effects on the music you listen to and makes it sound just like the original music. It keeps all the small details of the music, meaning that you will get all what you need from the music that you are listening. It is manufactured with high level objectivity that is hard to get from most other headphones that you might have used before. The modern design of the headphone has been made with a smoother and sweeter sound. It is a cozier, warmer and a bit softer, thus making them better. The headphone design has remained unchanged from the original one. The label that is placed on the top of metal headband indicates HD 800. It is well built, emit no creaks and this is what makes them more durable even than others that are more expensive. They are also large enough to wrap your ears in a cavernous fashion. This makes them extend their pads all the way onto your cheeks. The ear pads are hand made just like many other parts of this dynamic headphone. The other aspect about the ear pads is that they are not removable, which reduces the risk of getting damaged as you remove and install them back when you want to listen to your favorite music. The headphone makes use of a great microfiber material that does not heat up the ears. This makes it feel comfortable and plush when wearing them on your ears. The Sennheiser HD 800 headphone is lighter in weight, weighing three hundred and thirty grams. In terms of width they are quite thin and minimalist in the way they are designed. The headphone has the most functional frame that allows users to place pair of speakers on both sides of the head. The headphones can also be adjusted the way you want to ensure that there is no much pressure building at the top of your head. The soundstage produced by this type of headphone is also amazing. It gives sound that is not only detailed, but multidimensional too. It is possible for users to make out the many different layers and positions of instrument in a recording with a lot of easiness. The multidimensional landscape you get is freaking expansive. The soundstage that you get from this headphone cannot be compared with what you get from other types of headphones. Everything sounds highly condensed, which makes your music listening experience exceptional. The more complex the music you listen to the more rewarding this headphone becomes. This is because it never obfuscates or obscures. You will be able to hear all the music instruments regardless of their pitch. The headphone has the ability to handle everything in music with unerring composure. The good thing is that even if you listen to your favorite music with the volume turned way up, you never feel disturbed because of the balanced sound. There are no distortions or resonance lost when you use Sennheiser HD 800 headphone. · One of the disadvantages of using these headphones is that they exhibit tremble spikes that are unpleasant. This makes them tiring to listen to and they are a bit unfriendly especially for those who are casual listeners. However, you can modify your headphones just to make sure you tame their highs and get a sweeter and smooth sound. · You might also be required to have a very powerful amp in order to get the most out of this type of headphone. · The head phone has an open back design, which means that everything that you are listening to will also be heard by those people around you. This goes against the high level of privacy that many people enjoy when listening to music. This headphone has managed to get a review of 4.5 stars on Amazon.com. Most of the reviewers hold that despite that not all people have the same music listening needs, this headphone can work for everyone. One thing that most of the reviewers agree is that this headphone offer precision and the ultimate pleasure that every music listener would like to have. They agree that listening to music using the headphone is a unique delight, despite that the cost is a bit higher. The fact that other people can also hear what you are listening to is another thing that most reviewers do not like. If you are a music lover and you would like to get the best experiencing when listening to any genre of music this headphone is the best choice for you. 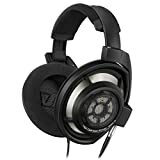 Despite that you might find that the cost is a bit higher compared to the others that you get in the market, the quality of soundstage and durability of this type of headphone gives you value of the money you spend. All you have to do is to make sure that you check that you buy the original ones because there are many fake ones in the market.